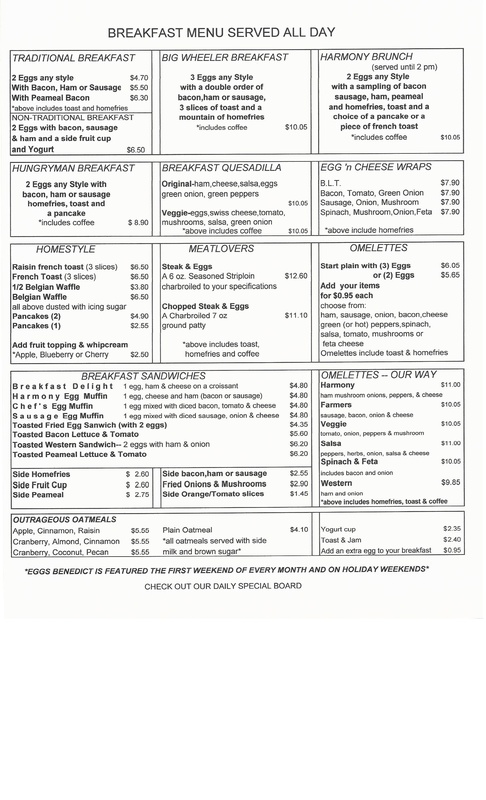 At The Harmony Pastry Shop & Cafe, we're all about great service and quality food. The Harmony Pastry Shop & Cafe can satisfy your appetite. We are both a bakery and a restaurant, family run since 1984. Our bakery features handcrafted artisan bread and buns. We are famous for our rye bread, raisin bread & potato buns. 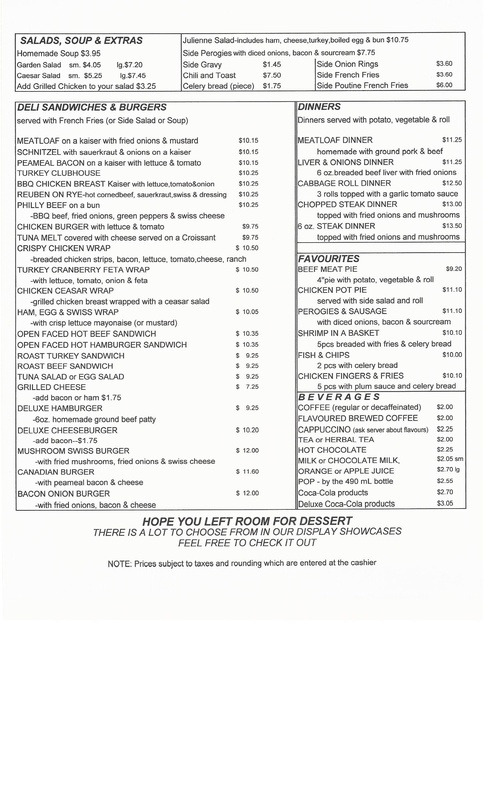 Our restaurant has a variety of home cooked meals. We make our own soups, chili, and stews. Our ALL DAY BREAKFAST is what we boast of most. We have a variety of options for all kinds of appetites. We are open 7 days a week. So come on in and see what our home cooking is all about.